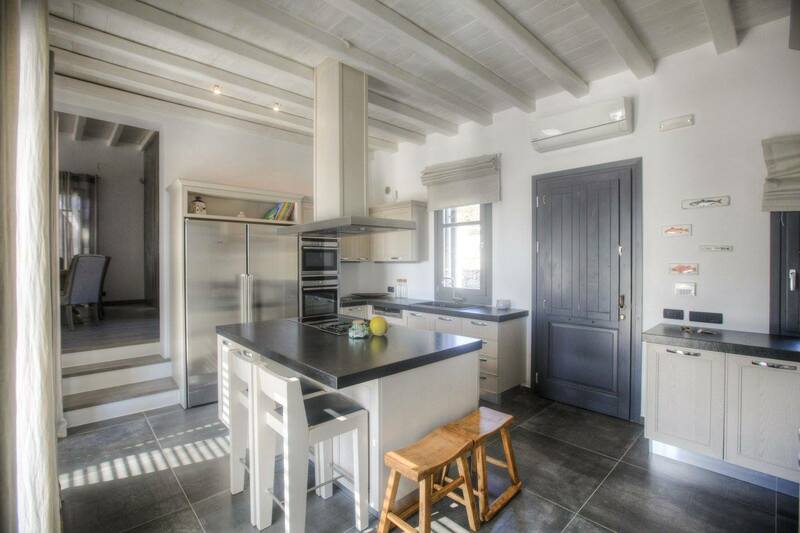 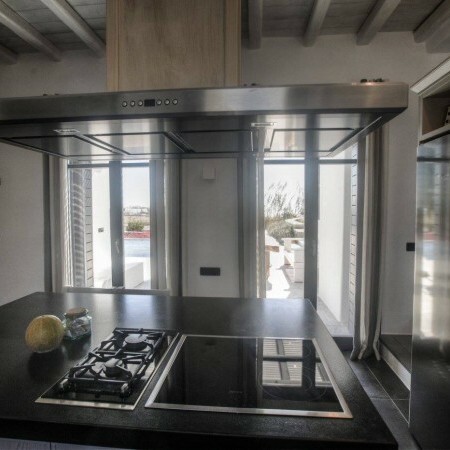 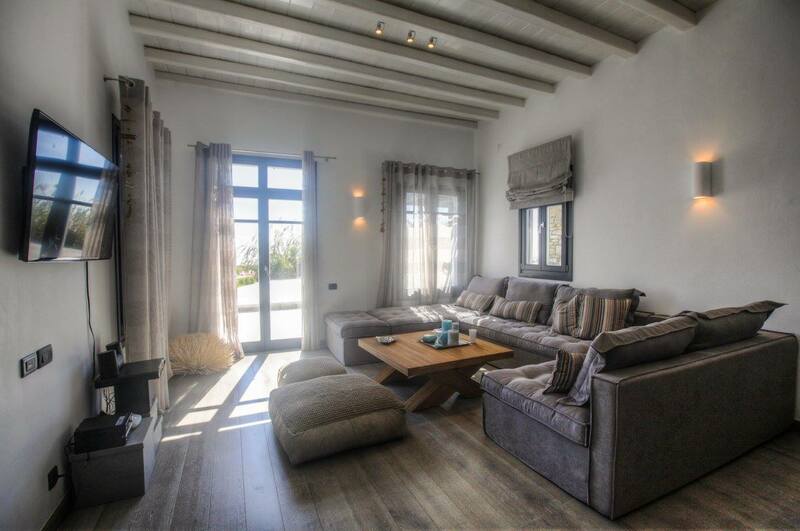 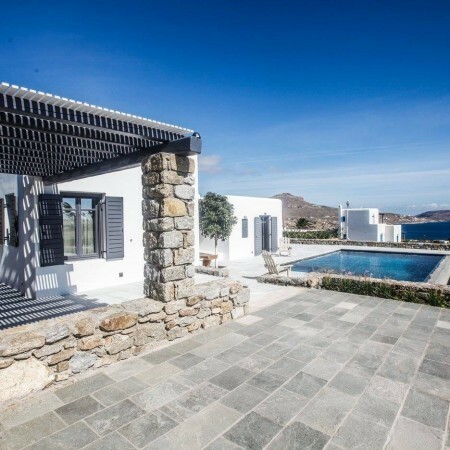 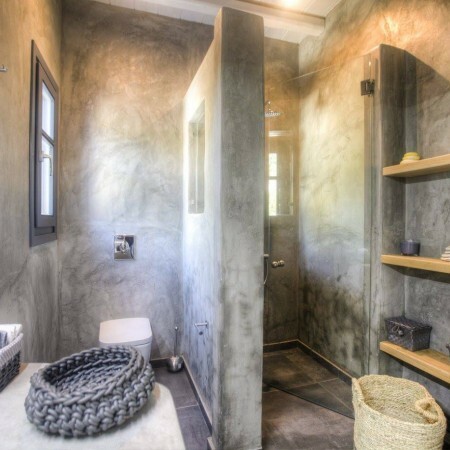 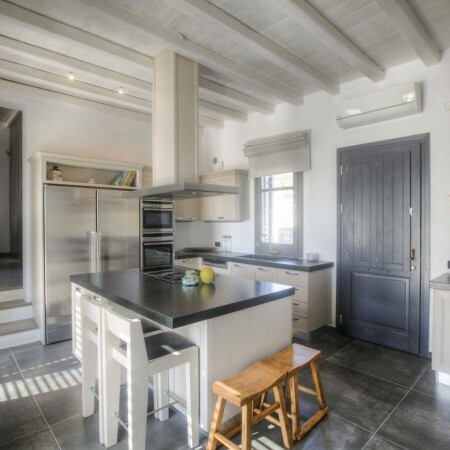 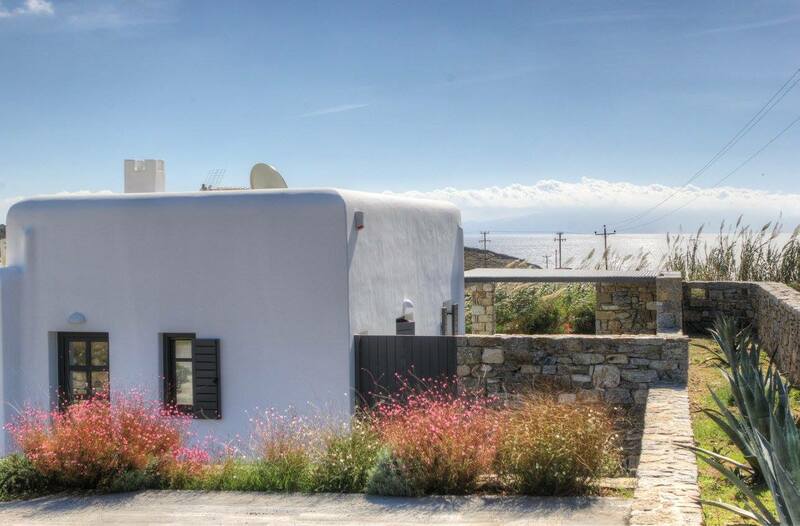 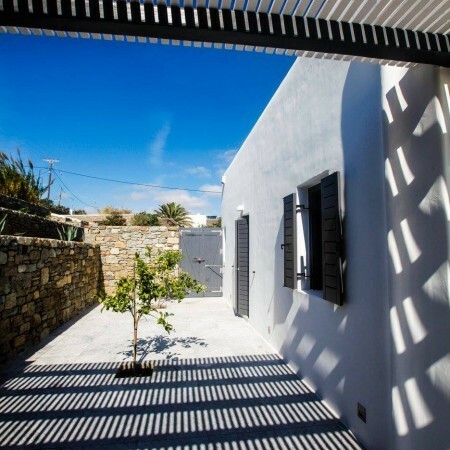 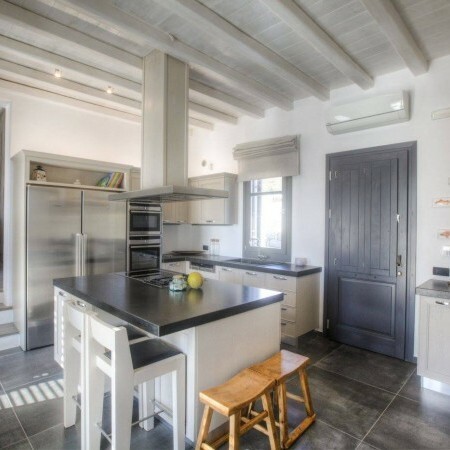 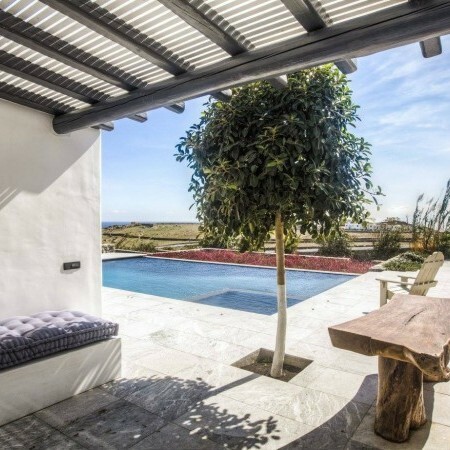 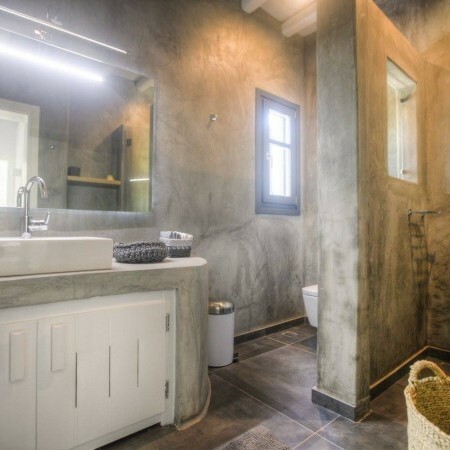 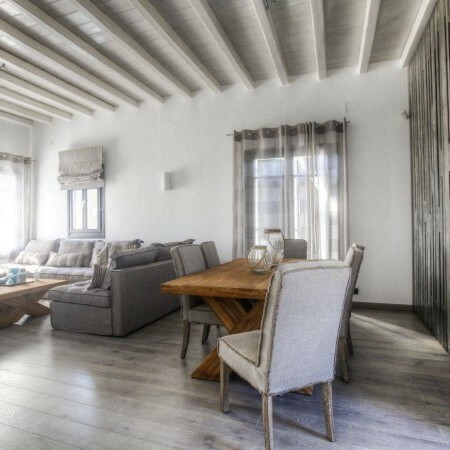 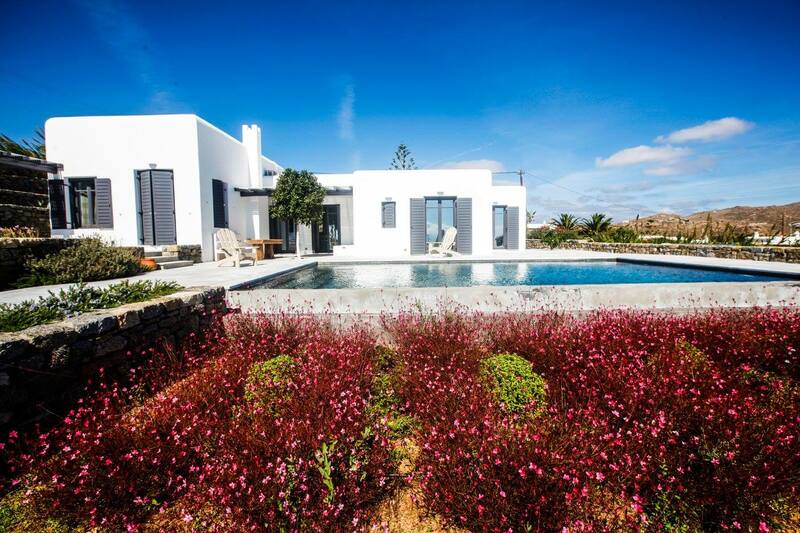 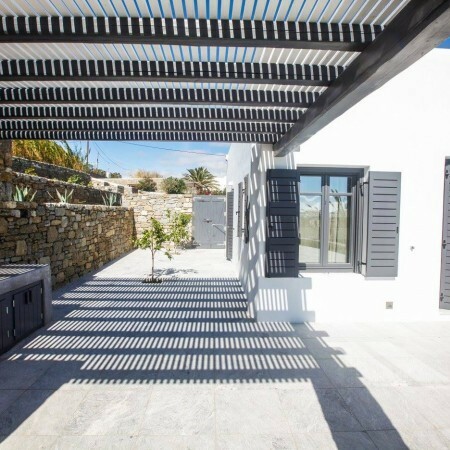 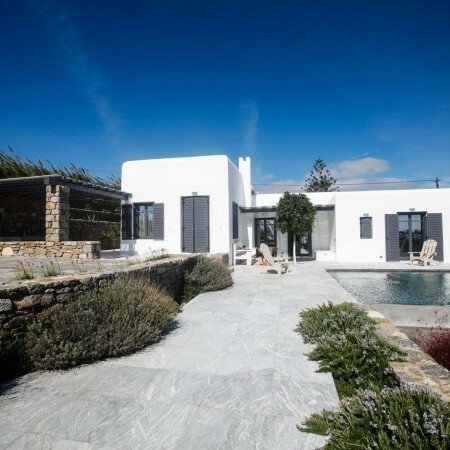 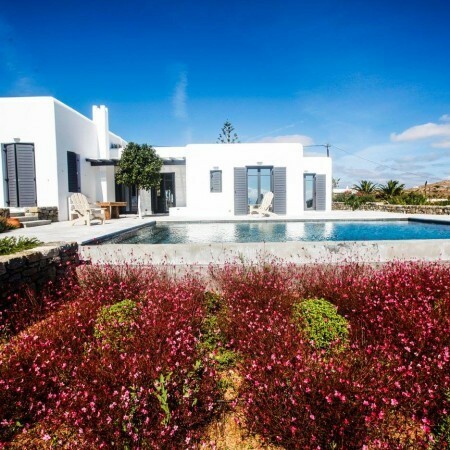 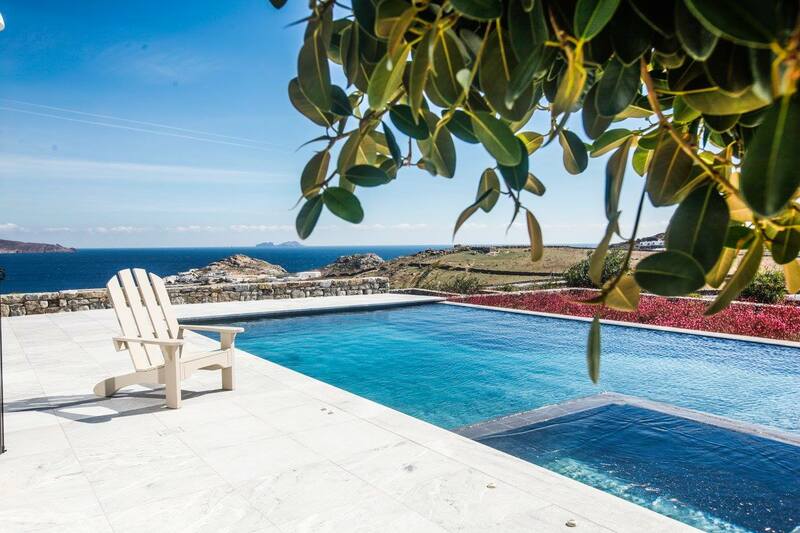 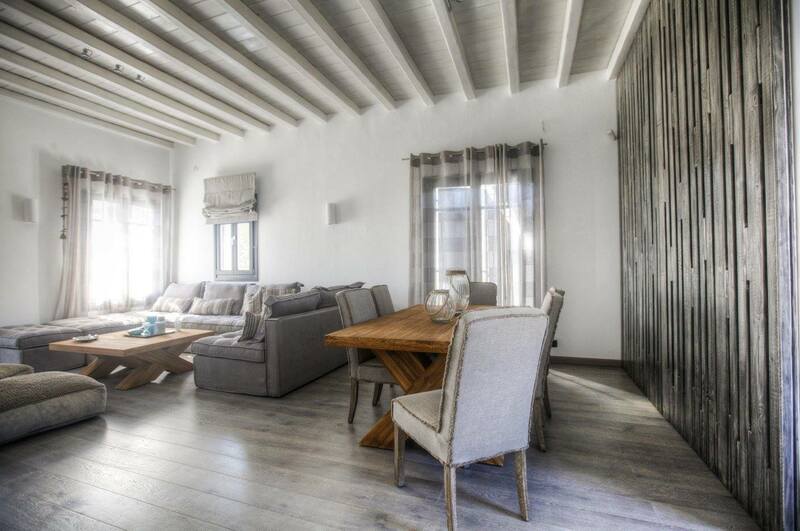 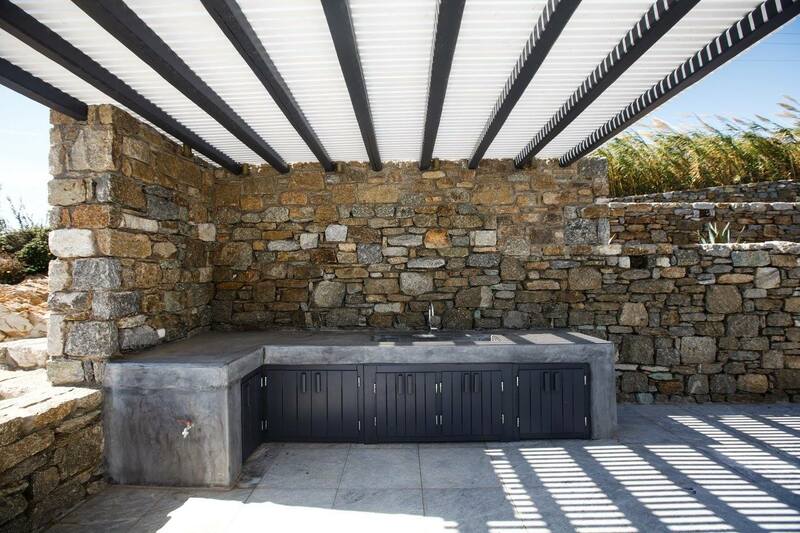 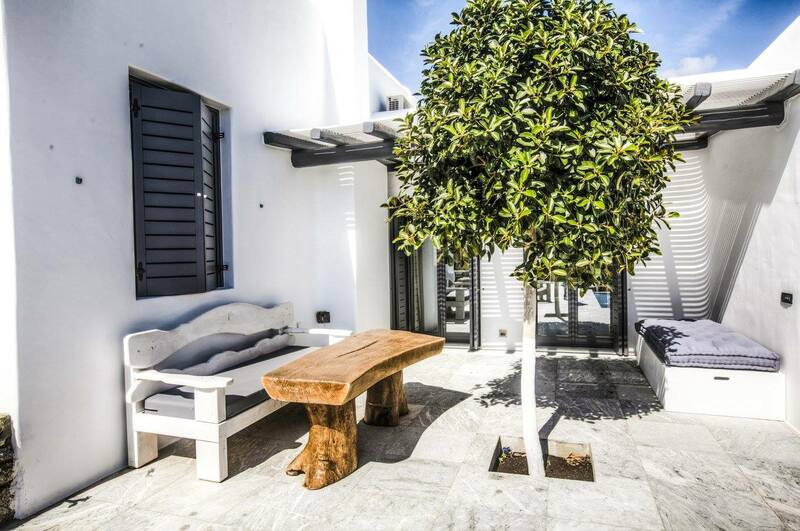 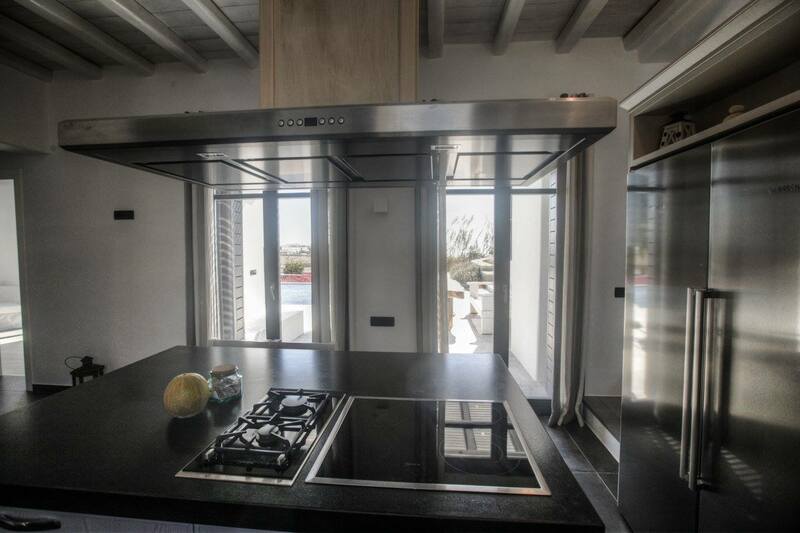 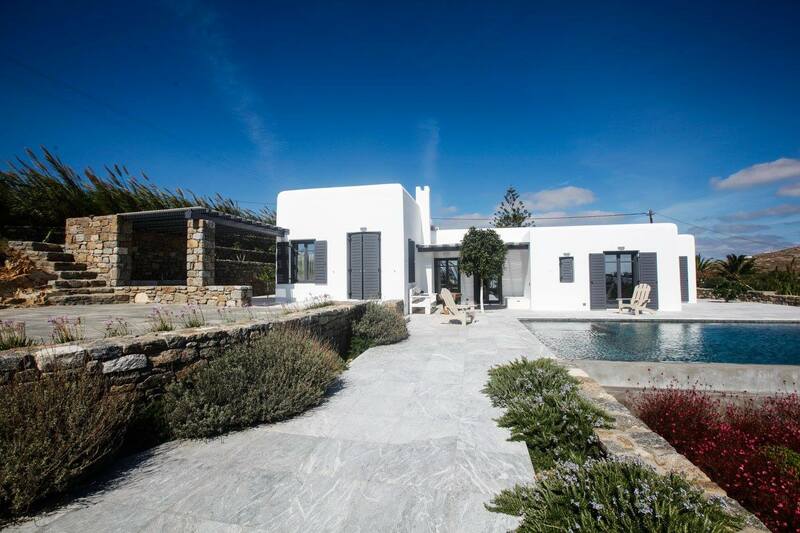 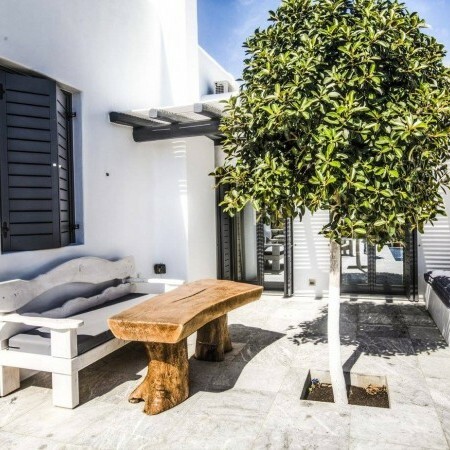 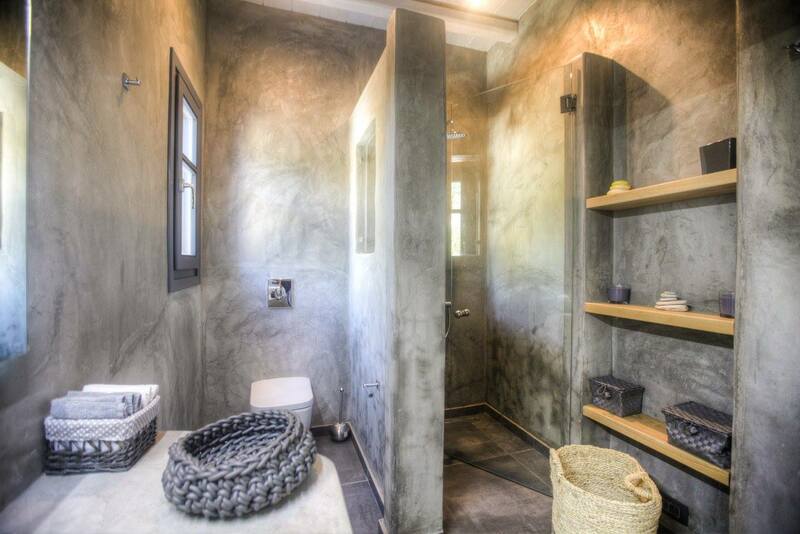 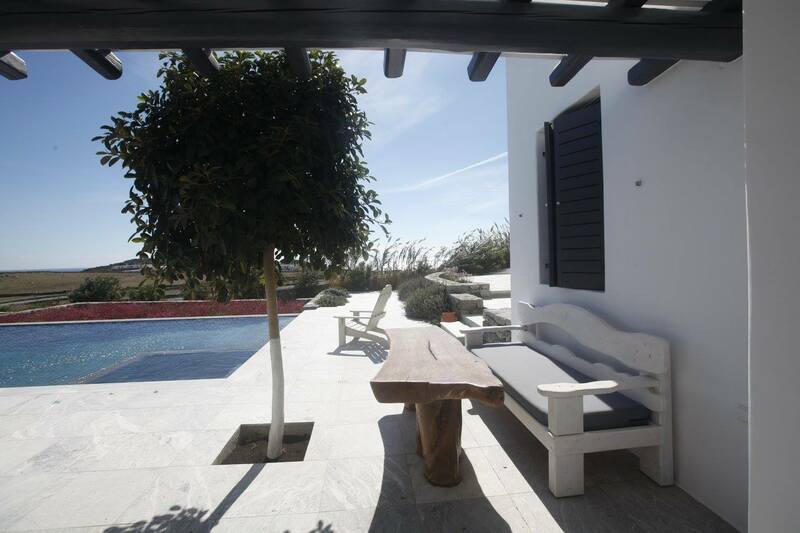 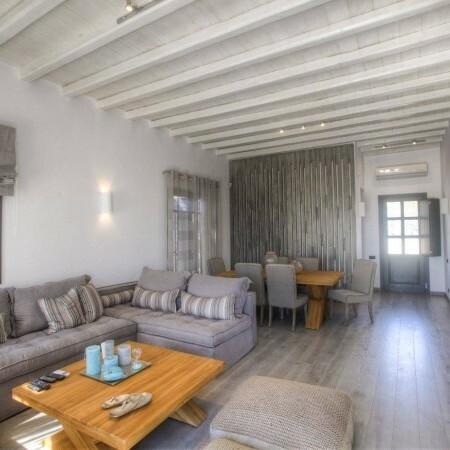 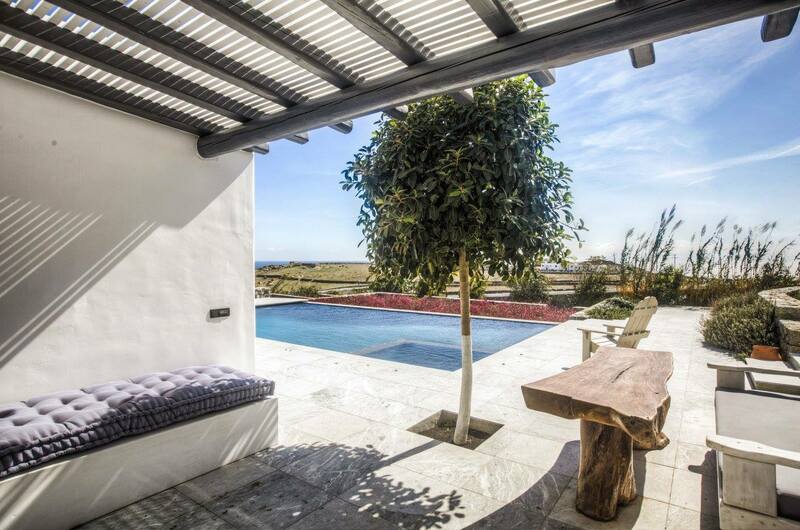 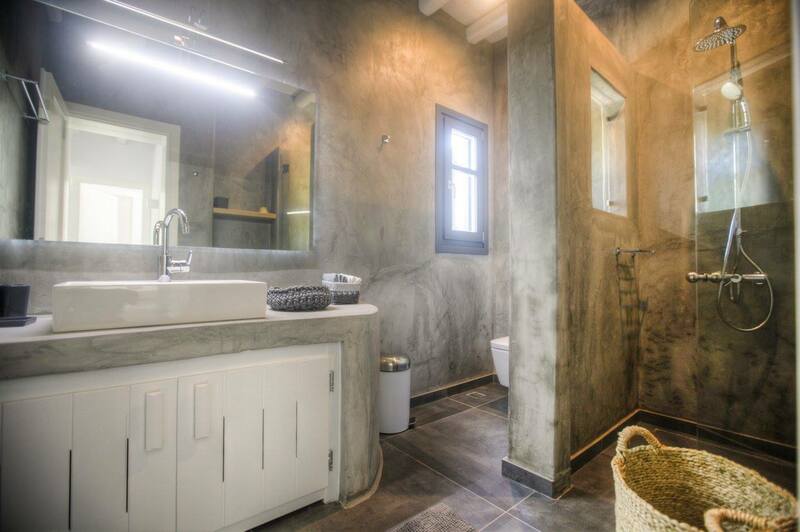 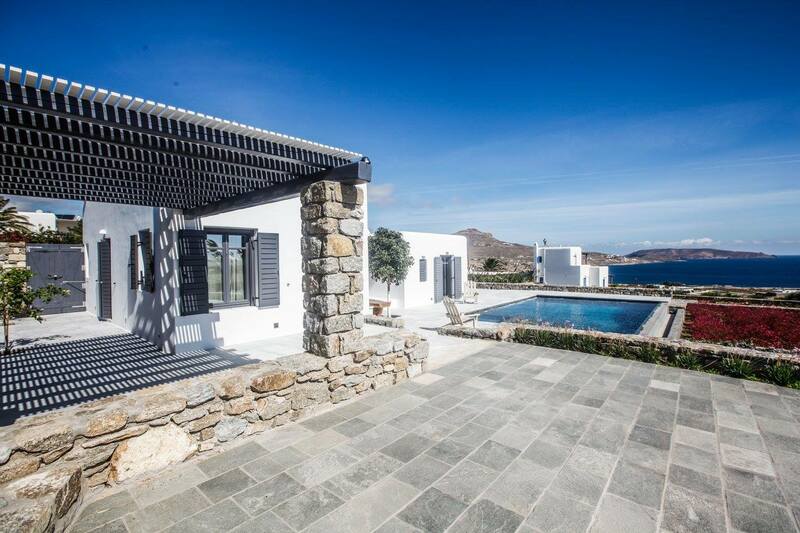 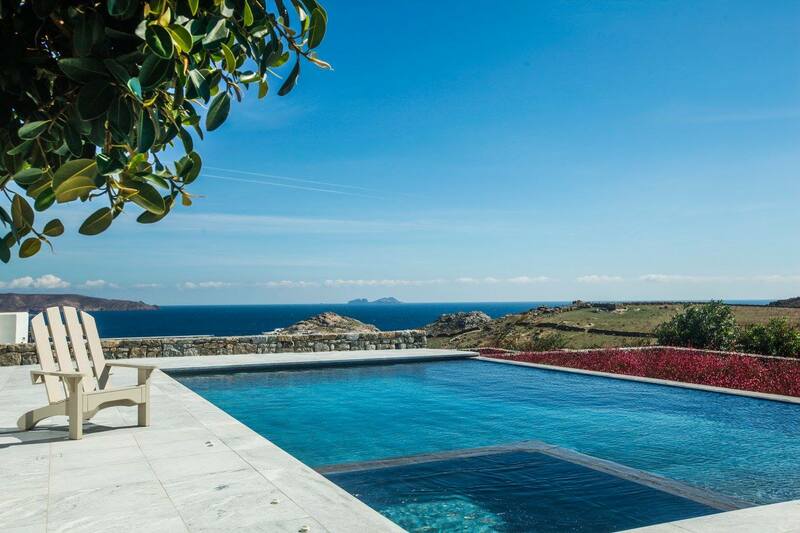 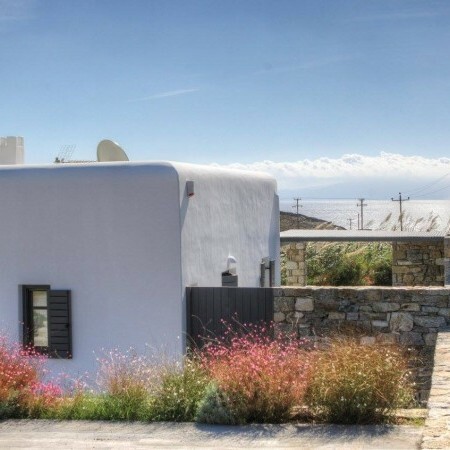 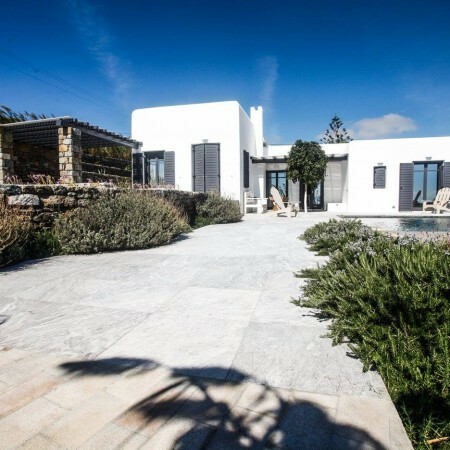 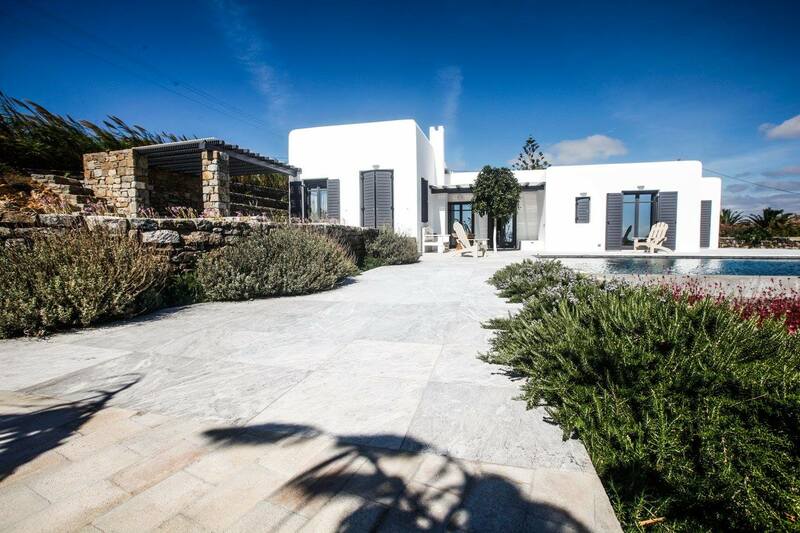 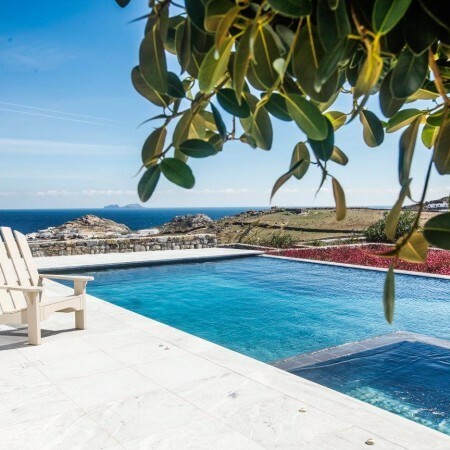 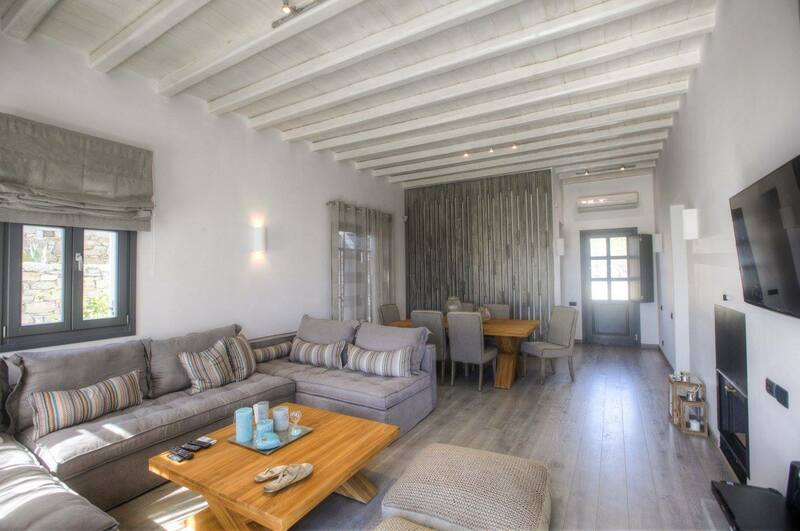 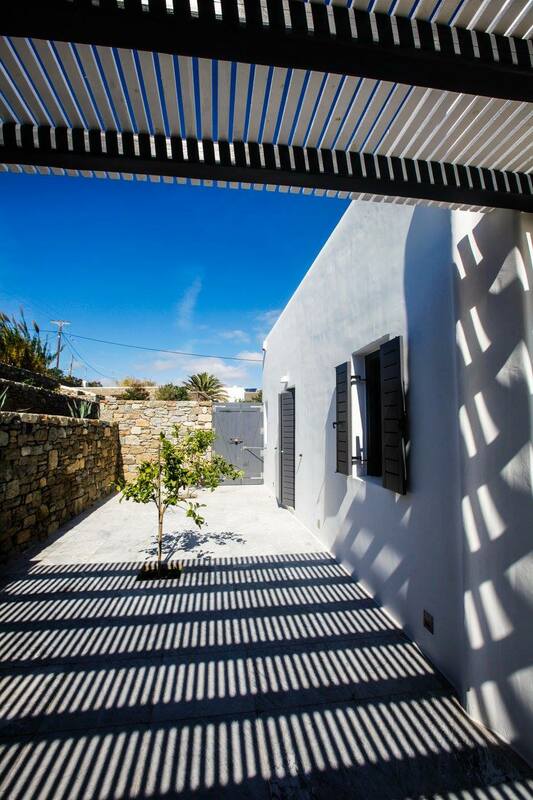 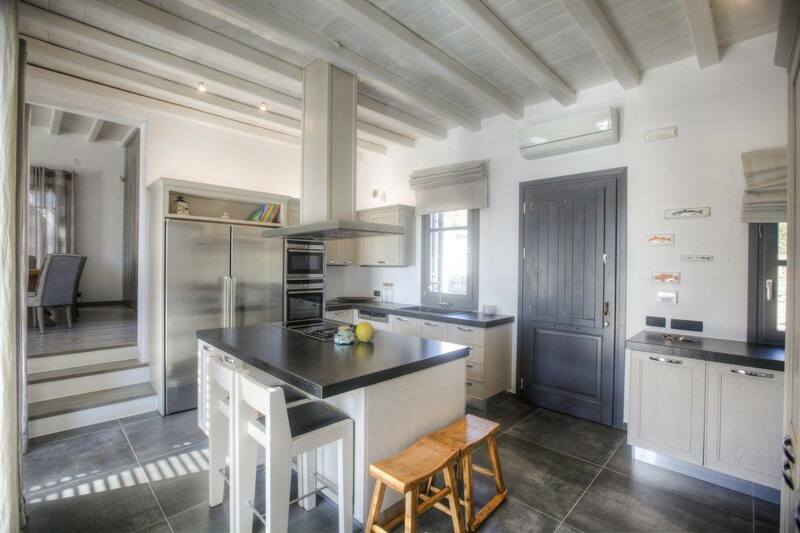 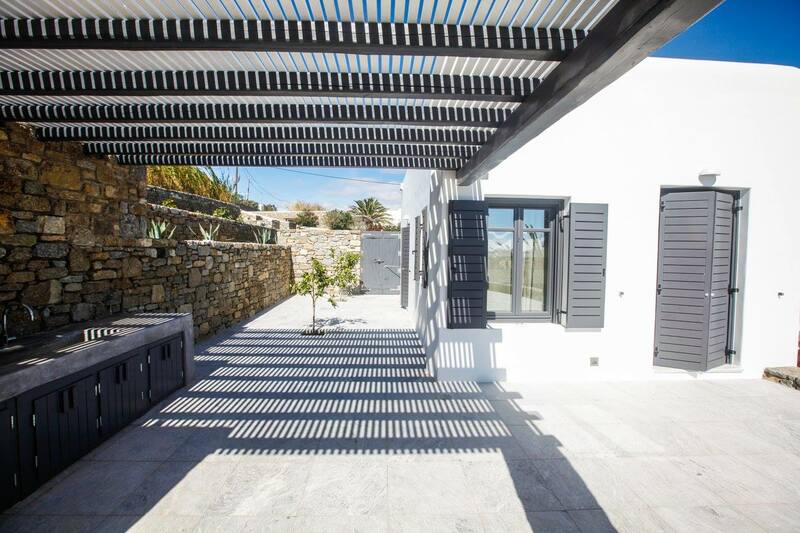 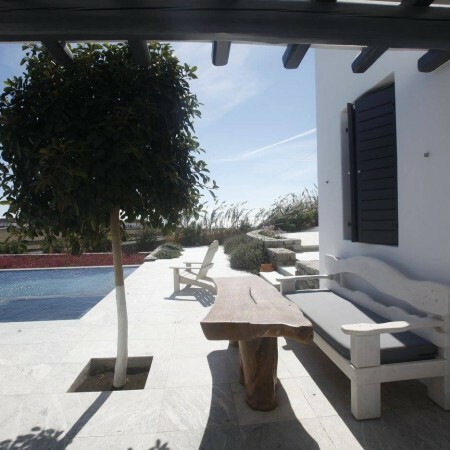 Recently built with high standard requirements, our modern designed Villa Julia is located near Kalafatis bay, one of the most beautiful and quiet beaches of Mykonos Island, only 9 km away from the Town center. 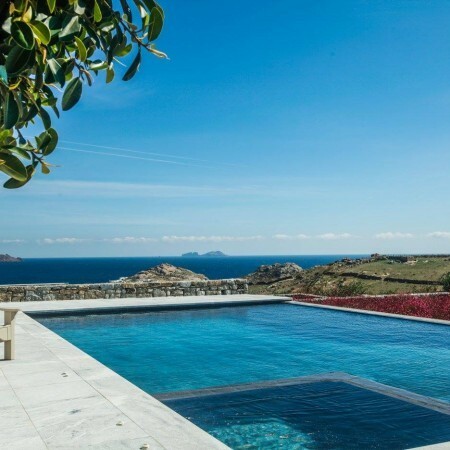 The view is breathtaking and the feeling is so strong that overwhelms you with emotions. 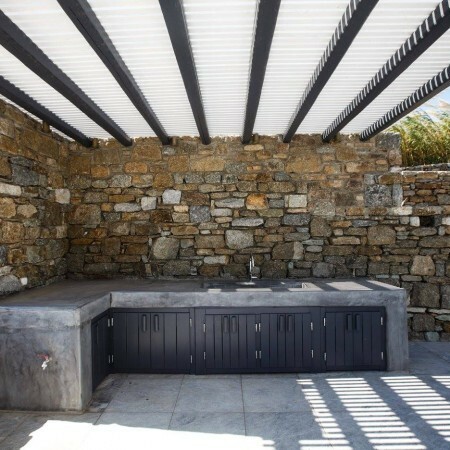 Its architecture is minimal emphasizing the outdoor space. 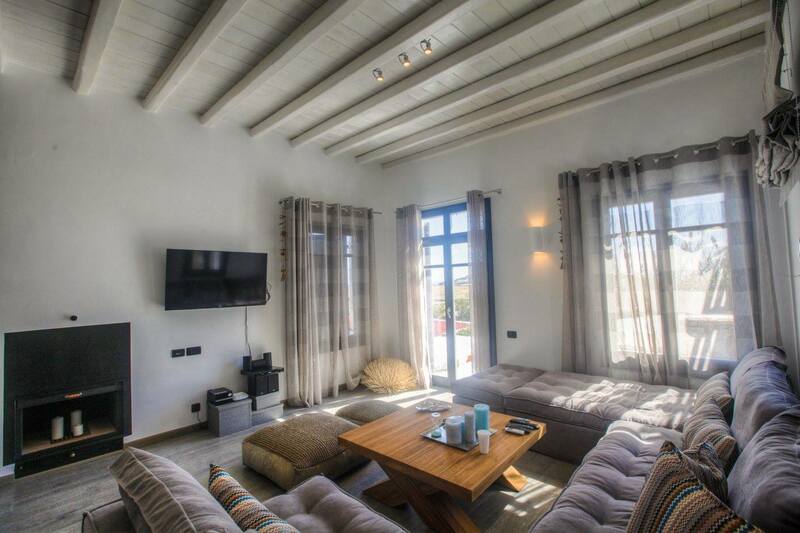 The interior of Villa Julia is cozy and decorated with pristine, and tastefully appointed, comfortable furniture and artwork. 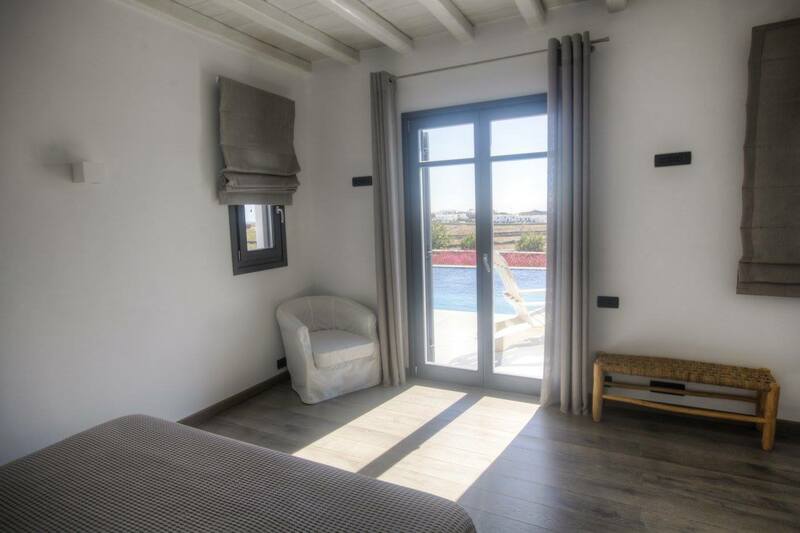 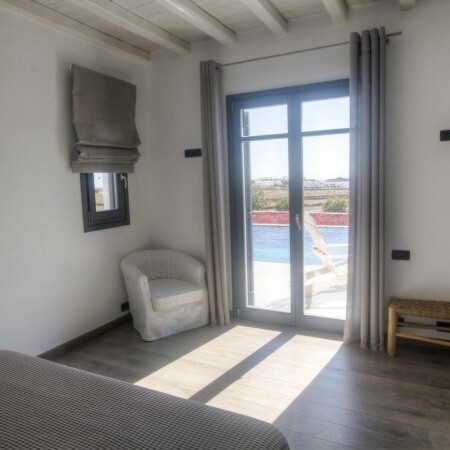 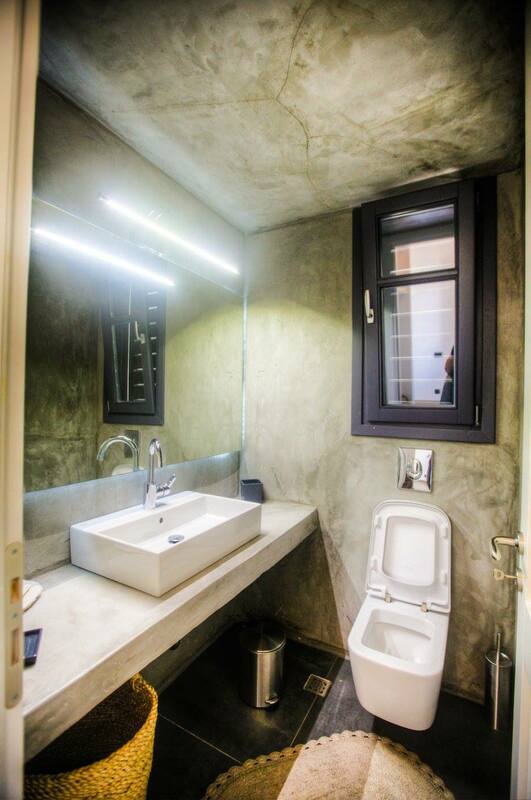 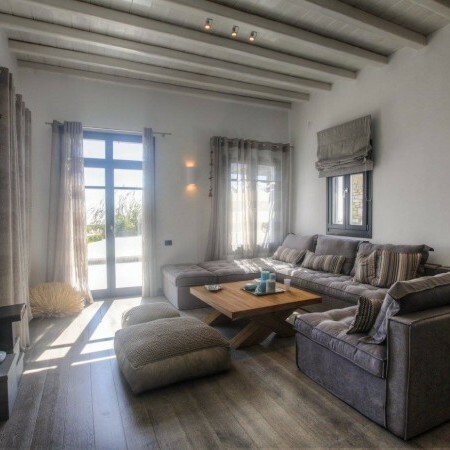 The large windows, allow plenty of light to come in every room and offer a unique view no matter in which room of the Villas you are. 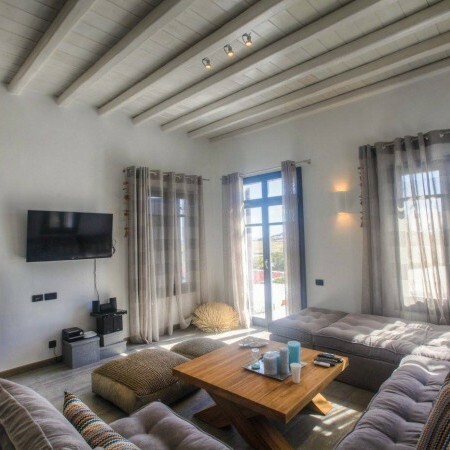 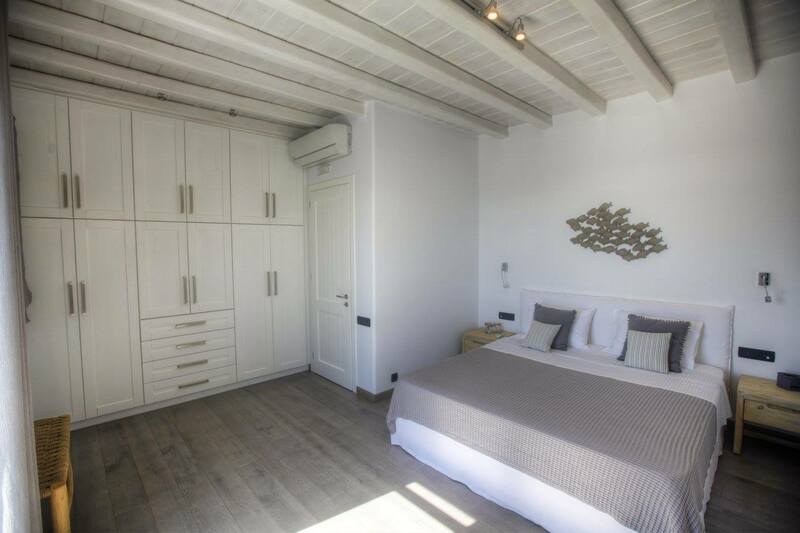 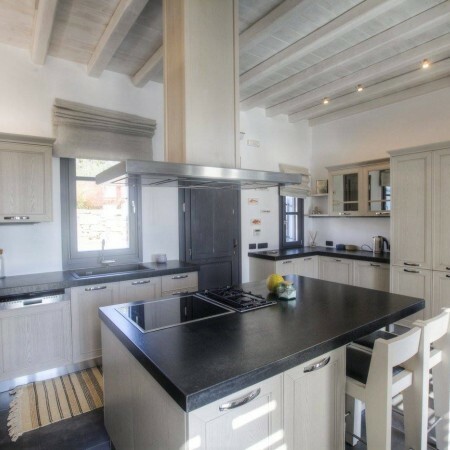 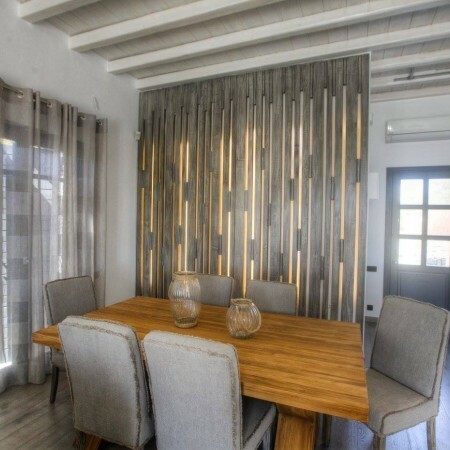 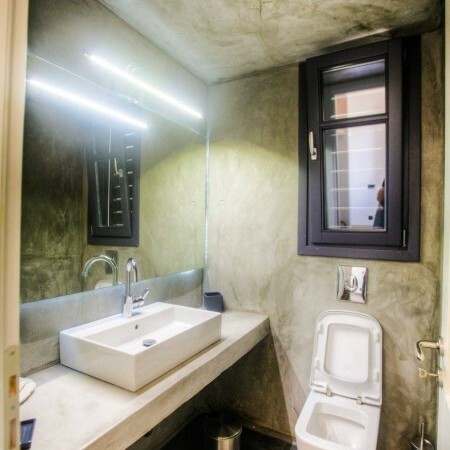 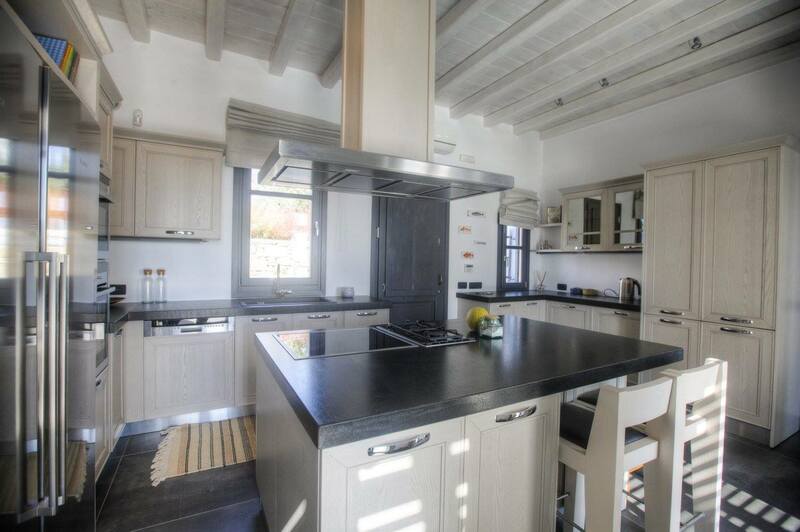 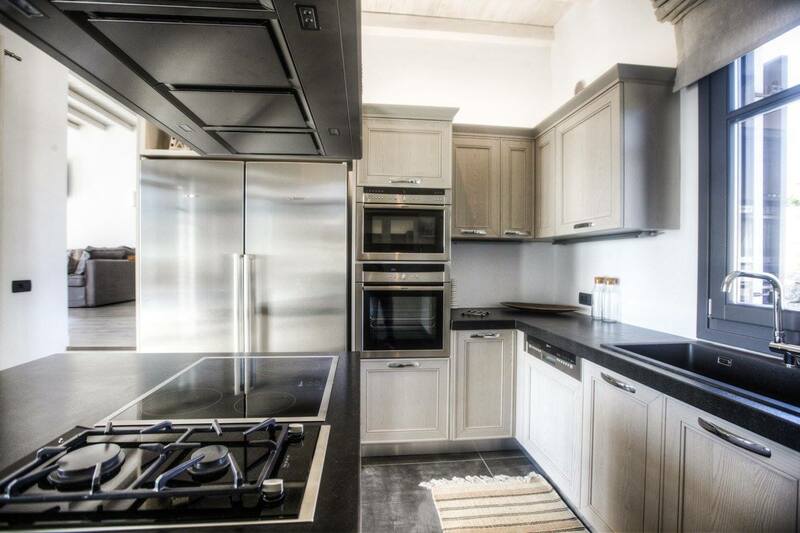 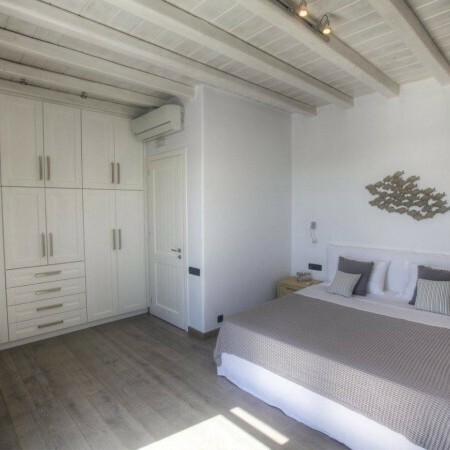 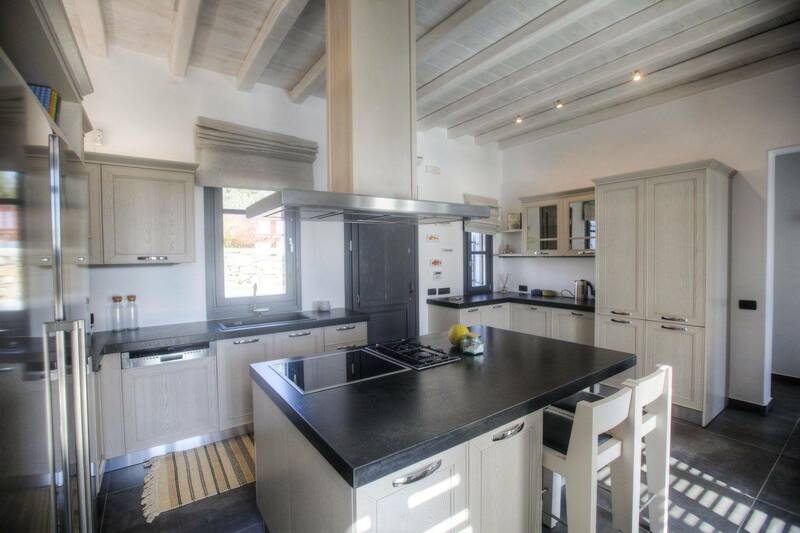 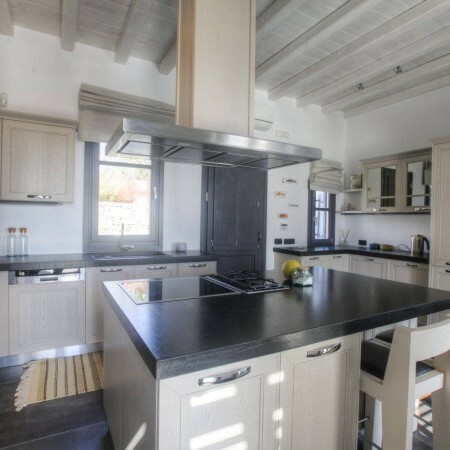 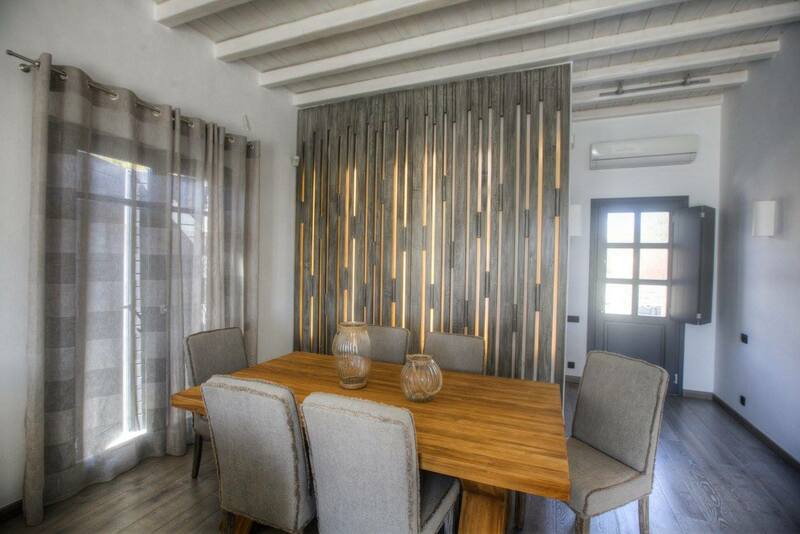 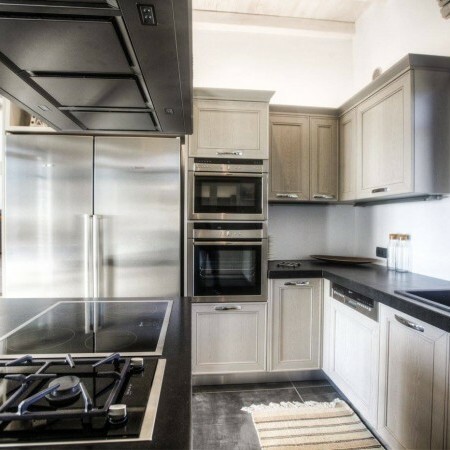 On the same floor are located a fully equipped kitchen, dining area and a spacious living room with a couch for 8 persons and fireplace, two bedrooms with comfortable queen beds, a bathroom and a guest WC. 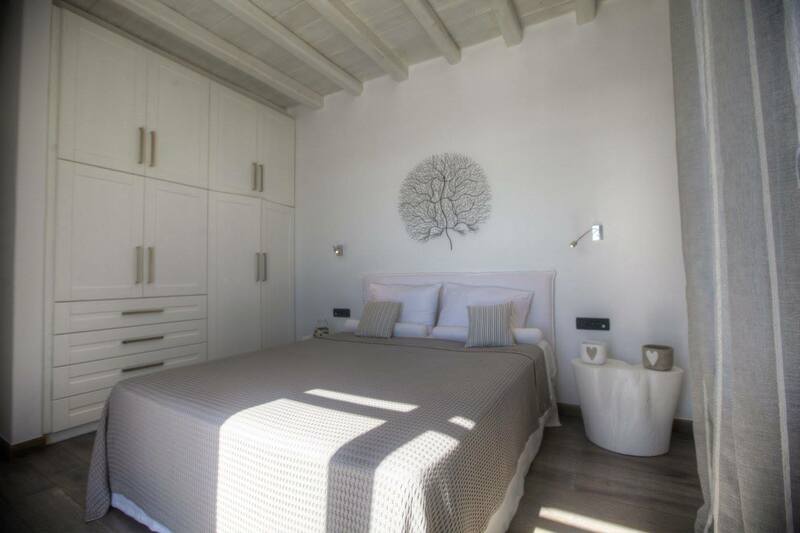 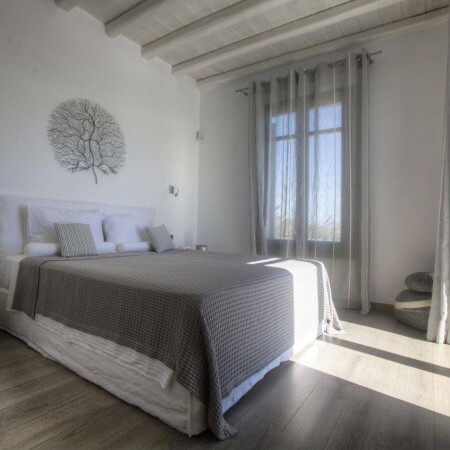 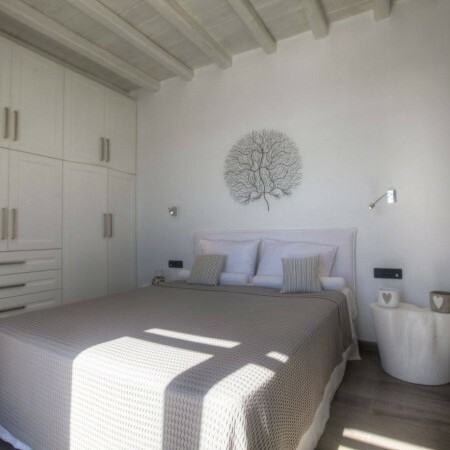 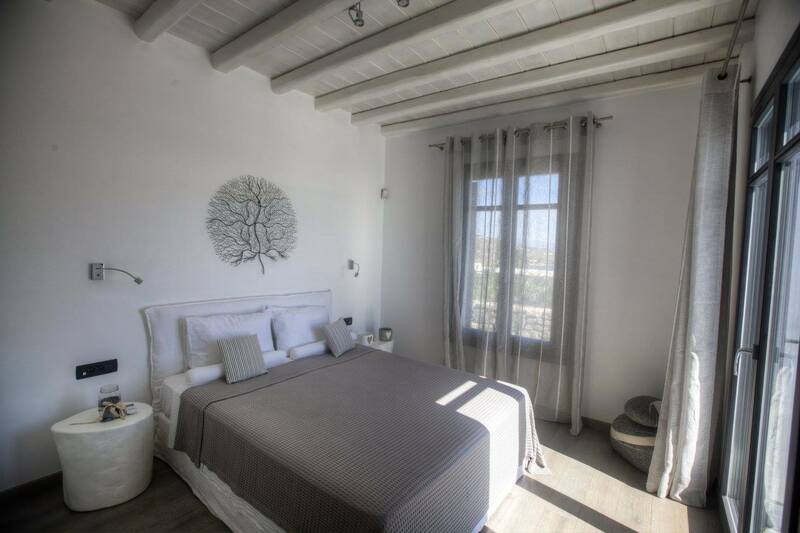 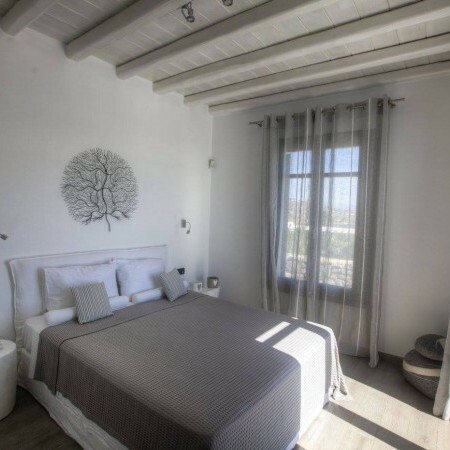 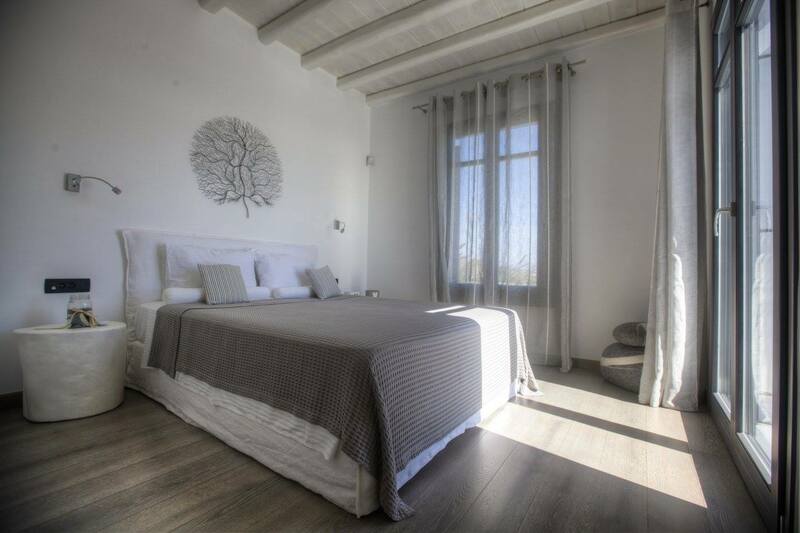 Rooms are comfortably spacious and tastefully furnished in a bright, minimalist style, incorporating white walls and ceilings with traditional features of Cycladic architecture, making Villa Julia a top choice for those who seek the best from traditional and modern design.